If you haven't heard of Cloud 9... Where have you been?! Well, I know it's been a while, but I wanted to give them a thorough use, and try all techniques with them, so that I can give a full and honest review. 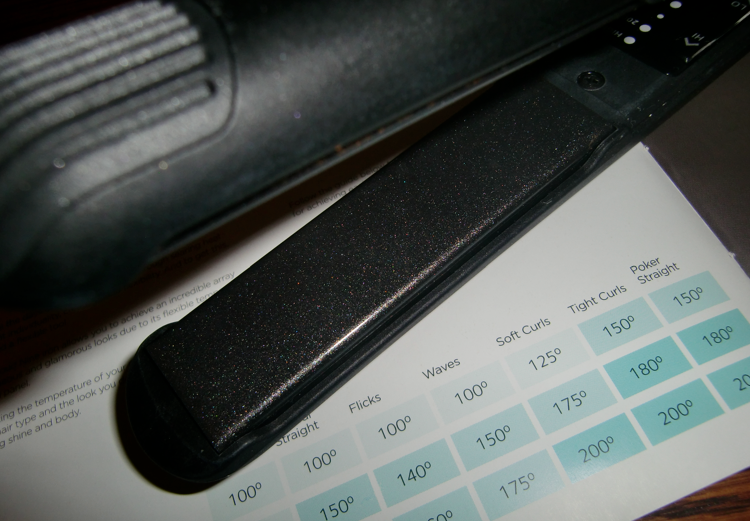 I have always been a big fan of straighteners, my GHD's in particular, and usually I wouldn't be tempted to try another brand, but Cloud 9's intrigued me, mainly due to the temperature control settings. The only thing that has ever put me off using my GHD's is that I'm worried about the damage the very hot heat causes my hair... even with heat protection spray, the thought of straightening my hair daily just isn't good. Cloud 9's are sold on the promise of 'less heat, more style' and the iron is 'designed to give you exactly what you want, the flexibility to create a range of styles, at lower temperatures.' An excellent selling point in my opinion... it definitely caught my attention! Imagine… a hair styling iron that allows you to achieve breathtaking results - without constant, searing heat. Well, it’s arrived and gone are the days where you at the mercy of one temperature setting – high. The brand new Cloud Nine iron, brought to you by the founders and inventors of the original ghd iron*, will allow you to take instant control - drop the heat, increase the heat - and enter another world of styling. From natural and smooth, to experimental and bold, you can now get the hair you want, everyday, no matter what its type, your challenges or your hair-aspirations. With its low, medium and high heat options, six in total, and a perfectly constructed, rounded barrel, Cloud Nine is one tool that enables you to achieve a whole range of finishes. You can create natural curls and waves, or even simply smooth a blow dry, as well as crank up the heat when you do need to achieve something more structured or adventurous. 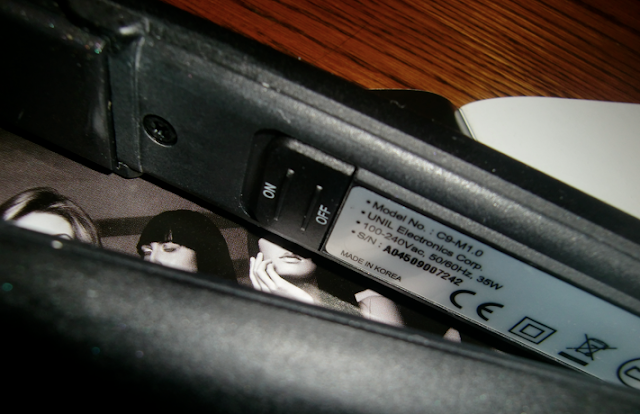 The varied heat settings also mean you can adjust the temperature to suit your hair type. Finer hair may not require white-hot temperatures to smooth out a kink, while thicker hair can benefit from a variety of heat settings as you style layer-by-layer. Poker straight hair delivered through searing heat, and the same look day-in, day-out, is over. With Cloud Nine, you can, at last, go a bit easier on your hair, while discovering a whole world of flexibility. Curly, wavy, straight or voluminous - you choose. The fact that these irons are created by the inventors of the GHD's meant that my expectations for the Cloud 9's was very high before I even opened the box. Speaking of the box... the packaging; I really like the box which the irons come in. As you can see from the photographs, everything is black and turquoise with white text, and everything is very simple. I think this gives a very professional, stylish image. The box comes in a protective sleeve, which I think is a great idea because the box is so nice, I really wouldn't want it to get dirty or damaged - yes it's the type of box you really don't want to throw away! It's quite a solid box, which opens in a really interesting way. The irons fit snugly inside the box, with everything else (the plug and cord, bag etc.) all tucked away neatly underneath. 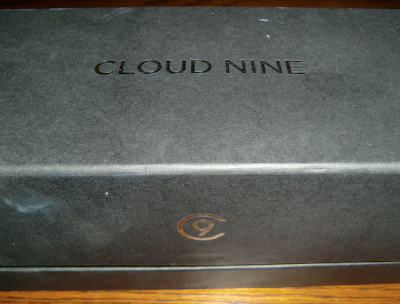 In the box you get; 1x Cloud Nine Iron, 1x Heat Guard and 1x Styling Tips & Iron Safety booklet. The irons are very sleek and slim, much like a GHD iron, but slightly more rounded, making curling and styling much easier. 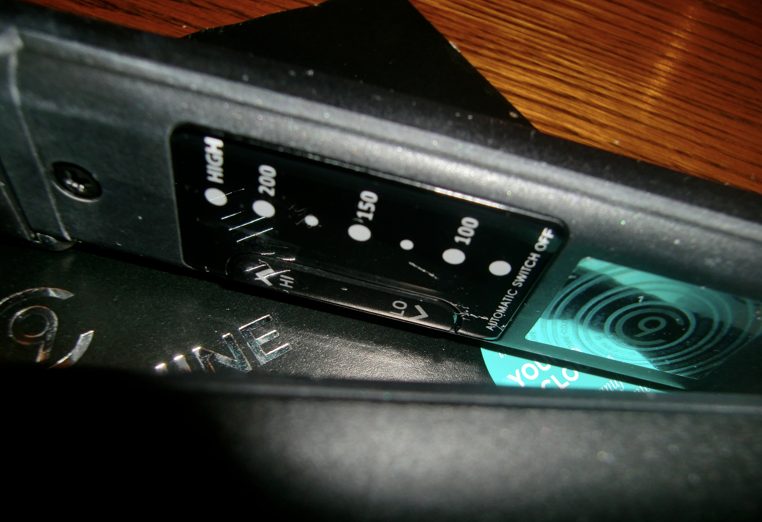 It has the Cloud 9 logo on a silver panel on either side, ribbed panels on the tip of the irons and Cloud Nine written on top. The only bad thing about the design is, when the irons are in the heat guard or clamped shut, there is a gap at the end of the irons which seems to trap skin quite easily. I have caught my fingers in this a few times and given myself a blood blister :( This is something which you get used to avoiding though, as I haven't caught myself for a while! They have a swivel cord which I love! This is a patented design, and it totally prevents getting the cord knotted and twisted when I'm curling my hair. They have a slide on/off switch on the inside and opposite is the temperature control panel which lets you select the correct temperature you need depending on your hair type and the style you wish to create. Both sets of controls are really simple to use and the irons heat up to their maximum temperature in just over 10 seconds. The plates themselves are black and glittery/shimmery. They contain a 'secret ingredient' which Cloud 9 are keeping very tight lipped about! This secret ingredient claims to give your hair a shiny natural finish with every use of the iron - and it does! The first time I used the irons, I was so intrigued by this, that I decided not to use a heat protection spray on my hair (naughty I know) just to see how much shine it gave on its own, and I was very impressed, my hair almost has a gloss to it - amazing! The heat guard which comes with the irons is the best idea, it's so simple and useful, I can't believe it hasn't been thought of before! It's a lovely turquoise colour, matching the box and it simply slides on and off the irons, so that as soon as you have finished using the straighteners, you can safely lie them down or pack them away, without fear of burning your house down, or burning yourself - genius! The irons also have a hibernation mode, which means they will cool themselves down after 30 minutes, so again, no fear of leaving them on and having your home burn down! 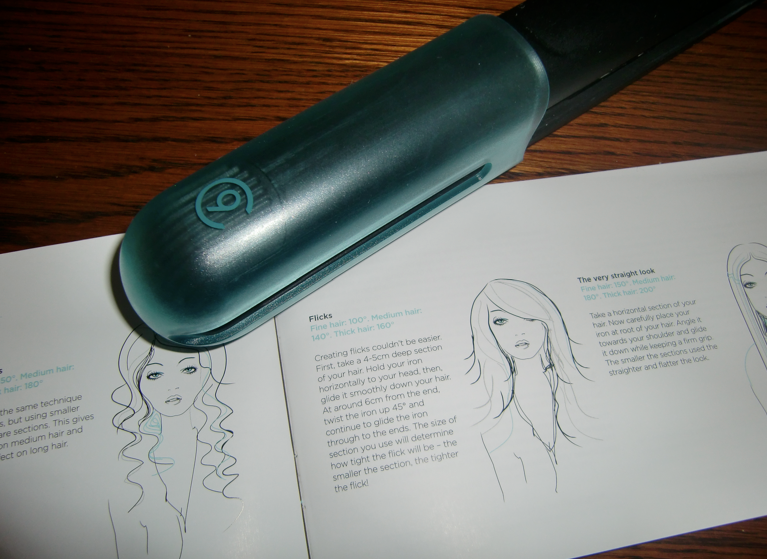 The little booklet which comes in the box tells you all about the irons and the company, plus it gives you tips on how to achieve certain styles with the Cloud 9's. 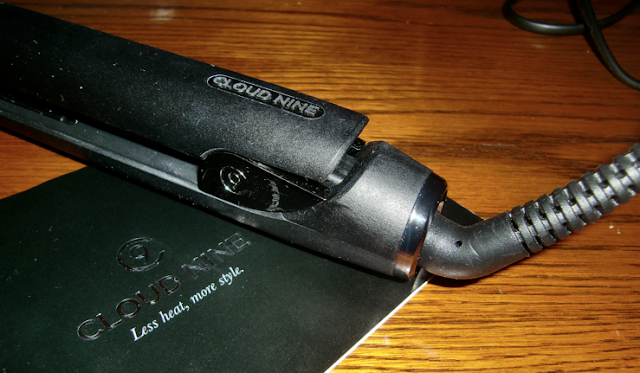 It's a great little guide to give ideas as the Cloud 9's aren't just a straightener, they are a styling iron, and a great one at that! I am completely converted and I have used these constantly since I received them, my GHD's are a bit redundant now! 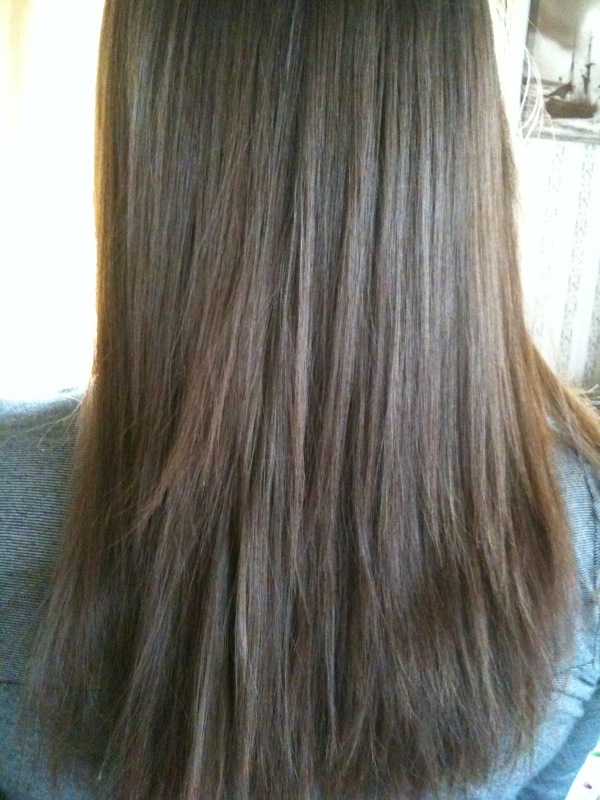 As you can see in the 'before and after' pictures below, they are really great at straightening hair. I had the irons on 175 degrees to achieve this look, and it took around five minutes! I will be doing a mini series of blog posts showing different hair styles I have created with the irons, so keep checking back for those! I think they are well worth the money, you will definitely get your money's worth and plenty of use out of them! Currently Cloud 9 are giving away a bottle of St Tropez Perfect Legs tan with the full size irons! You can check out their website and buy your own Cloud 9's by clicking here! I used to use straightners everyday on my hair and it really did ruin it and I knew this but continued to use them as I had this weird phobia of having frizzy hair! And I too used to use GHDs but one day at uni I trod on them and broke them! I honestly think it was the best thing I ever did as I couldn't afford to buy new ones and haven't used any again since ( 2 years ago) - my hair dresser now says I have finally got rid of all the damage to my hair as it has now all grown out. These seem like a good compromise if you still want to use straightners as you can control the temp and I'm sure not all those that use GHDs need that much heat and just bought them for the 'brand'! Look forward to seeing the new styles you achieve with them! they look lovely! 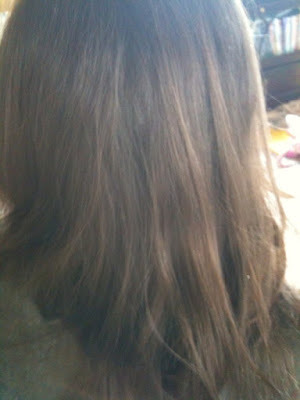 i use my ghds to make my hair wavy but do worry about the ammount of heat i use on them! i could really do with a styler that has changable settings! cant wait to see the styles you do with them, the booklet looks really useful! wow now if there ever was a really detailed review, this is it lollllllllll!!!! ive stopped straightening and am rocking summer waves. Wow these look ace! I need to invest in some new straightners soon! 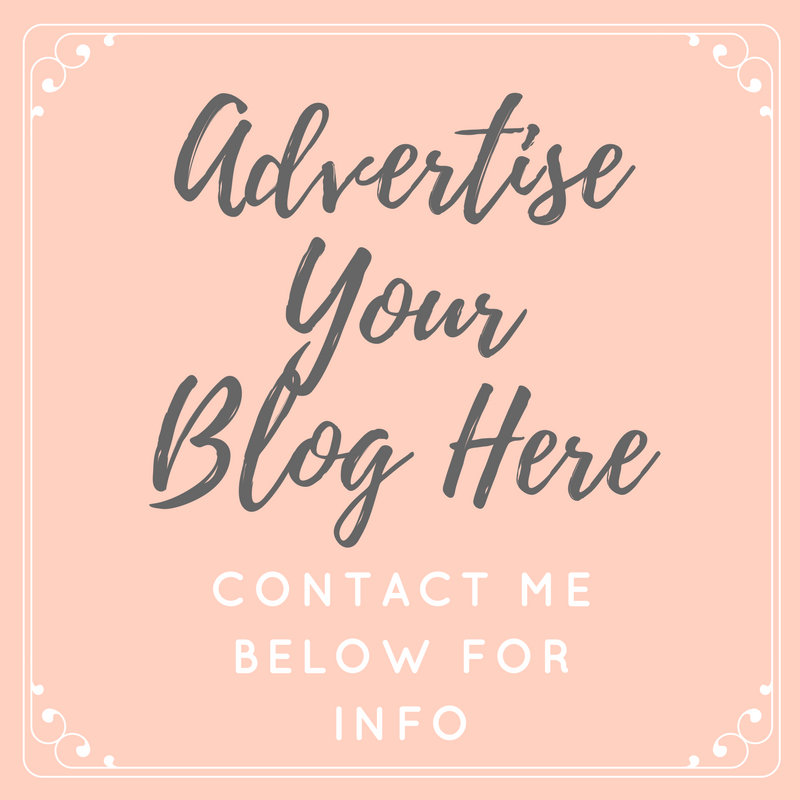 Also I'm having a little blog sale and thought you might be interested? Nars, Mac, Bumble & Bumble etc! This is a brilliant review! Thanks for sharing, can't wait to see your mini series! Really want to get my hands on these! I am looking to get some cloud 9 hair straightener for a friend, she normally has a wavy style so i was going to get the cloud 9 medium. Does any one know where is the best place to get them?